What would you do for a Klondike bar? Would you rush to the Klondike in search of gold? 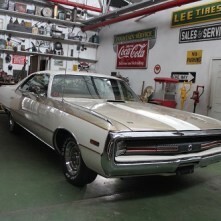 What about purchasing a 1970 Chrysler 300 Hurst? 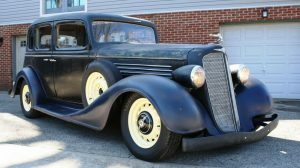 This pure, rare metal automobile has a clean title, original build sheet, and just over 48,000 miles on it. If you think $53,500 is worth its weight, then you should invest now. There were roughly 501 of these special white and gold cars built. Thank you Pat L for submitting the tip on this car. You can view it here on Craigslist. This machine has a heart of gold with its 440 cubic inch, 4 barrel V8 producing 375 horsepower. The 3-speed automatic transmission with 480 foot-pounds of torque can get this 4,354-pound car up to 135 miles an hour. How fast can it get to that speed? Well, the 0-60 time is 7.3 seconds, so if you have preferences like Goldilocks, that time is just right. The hood has fiberglass hood skin and a non-functioning hood scoop, which was part of the Hurst package. 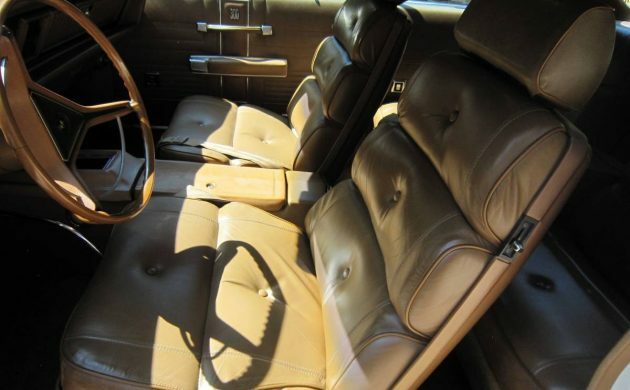 The interior is a plushy, satin tan leather, taken directly from the Chrysler Imperial. There were two options for shifter locations, column and console. This example has the console shifter. Oddly enough, the cars were not fitted with Hurst shifter upgrades. 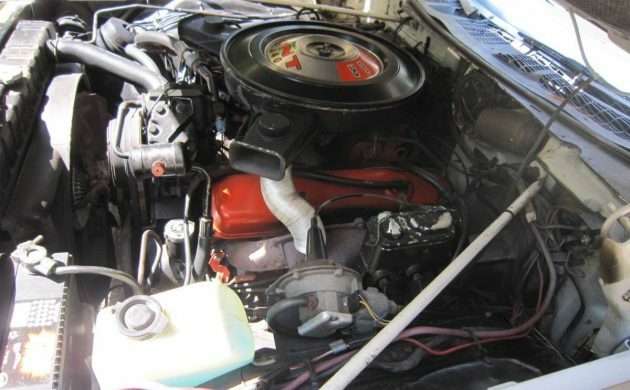 The Hurst package was primarily cosmetic enhancements. Due to one of those enhancements, a new decklid, this car has a nifty party. The trunk is released by a remote button in the glove box. Associating the Chrysler nameplate to Hurst was not advertised very well back in 1970. Both companies thought the other would do the marketing, so neither did. Ironically, this car is listed on the Los Angeles Craigslist, but the map and phone number indicate that it is located in Missouri. 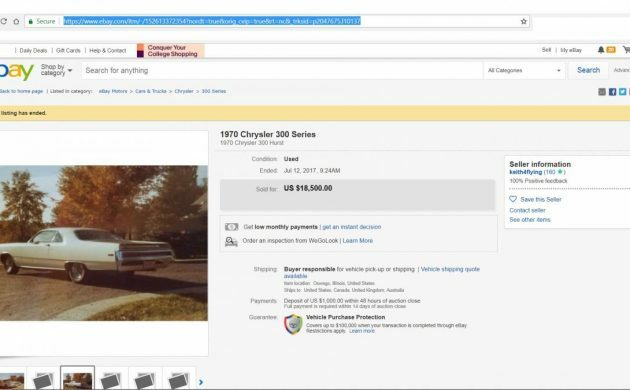 The seller also copied and pasted the Wikipedia section about the 300 Hurst as the description of the car. So…just be sure to clarify where the car is before committing to go see it. See “Click here” below if youre trying to post pix for a car to sell. What is 50 dollars? It’s either a case of beer or a bunch of roses. If you opted for the first you might need the second. Nice car. Incredible car but for $53.5k?! There better be an F after the 300 if you want 50K+…..
$53,000 is totally bat$hit crazy!!!! They aren’t in the same league, that was a non-running project, though I can’t see $50,000+ from this car. The recent auction results seem to back up the asking price. Yeah, very nice, a tank, but very nice. I read there was always a debate whether this car should be recognized as a 300 “letter” car, even though there already was a 300H ( 1962) Regardless, somebody knew it was special and treasured it. I doubt you’d find a nicer one. Have you not ever watched Fantomworks on Velocity Network on TV? I’d say Dan’s team probably did a pretty nice job on this one (likely better than the one listed here). 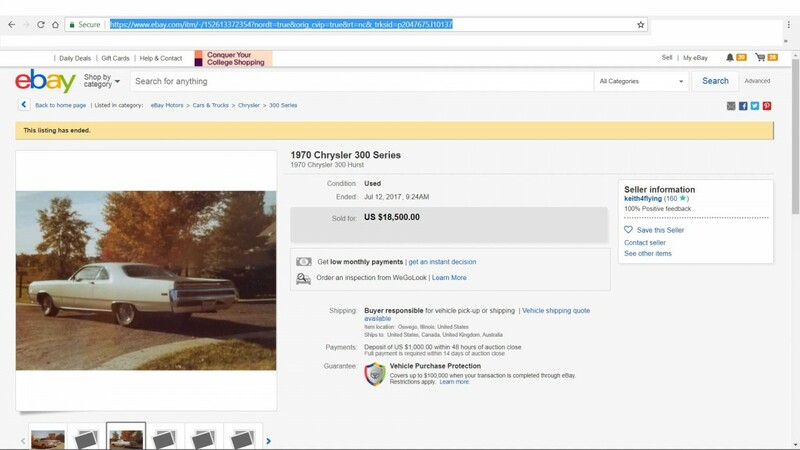 An article on his website says there was one convertible used as a Hurst promotional car and it is believed there was another convertible with a dealer equipped hemi (now that car is probably worth something today). Imagine how much a one of 501 cars, then then only so many convertibles, and throw in a hemi? That would probably put it into the 6 figure range, depending on condition. 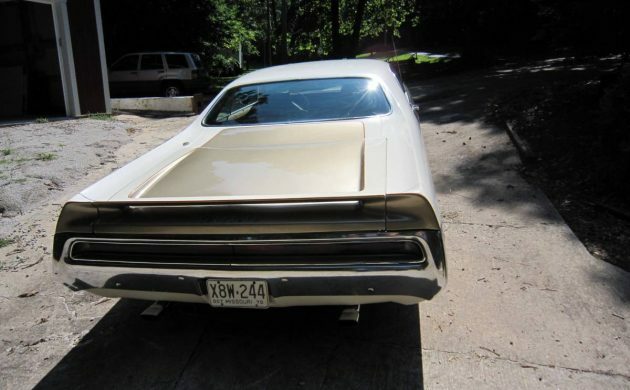 I apologize for the pic resolution…grabbed it from his webpage…for more pics and info:(https://www.fantomworks.com/project/1970-chrysler-300/). This is a car gone over by a popular car show on velocity. I’d have to say there is a pretty good chance that car is nicer than this one on BF. 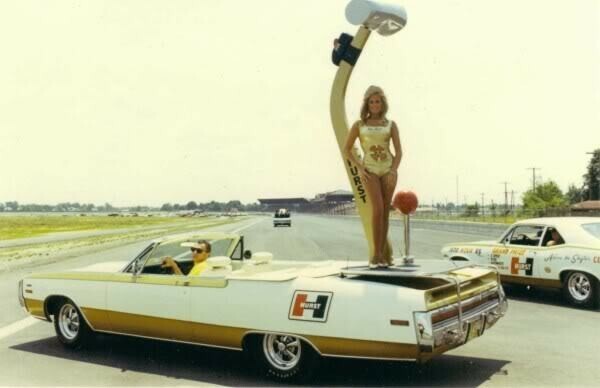 That show’s website said there was a convertible 1970 Chrysler 300 used as a Hurst promo car and another convertible had a dealer installed hemi. So how many out of 501 cars were convertibles and then had a hemi? That hemi drop top would be the one to grab if you could find it if you’d want an investment grade car, but what are the odds of it being around anymore? Some crazy kid probably took an axe to the trunk of that one. About 1979/80…my friends family had a towing service. Towed one in…may have been a bad transmission. They ended up owning the car. My friend wanted the 440 for his Charger. That beautiful decklid …I took an axe to it looking for goodies in the trunk. Some nights the mistakes of my youth keep me from falling asleep!!!!!!!!!!!!!!!!!!!!!!!! It would be nice if car people actually owned towing companies and not people that see cars as metal and plastic to be destroyed. @Miguel – Thanks. I’m speechless (even though these are the cars I bought back then, then had to go about performing the repairs they required). I want one. But I just can’t see $50k+ for it, no matter the condition. That one guy who says F every Mopar and that other guy with the new car that’s better in every way than any classic car ought to be along any time now. Big old boat, not fast, not very fun to drive unless you are on your way to bingo. An interesting footnote in vintage automobile dual image marketing. But not a $50k footnote. You got a problem with bingo bro ? 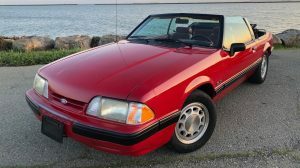 Saw one of these for $950 in 1982, called about it out of curiosity. Because some came with 440 6pks, I had to know. Old man answers, original owner etc… Cool. yes it was 6pk car. Uncool, at 16 in 1982 no money. At $53k, better be mint 440 6pk./4spd(it ain’t). And even then? Only maybe, probably NOT. My Dad had a 69 300 convertible that he bought after his customer he sold it to when new died. I would take it to exercise it. One day around 1990, I pulled out of a gas station behind a Vette. He tried to make a showy get away but that 300 stayed on its tail until we were doing twice the speed limit in a confined commercial district. I made my point, so I hit the brakes. So these barges would move quickly. This thing is rare but is it desirable? Only people who would want this are the folks who remember them. Performance for this is long gone or nonexistent. 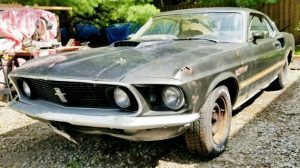 Would be more fun to stick a new 440 in a rotted out Cuda and upgrade the suspension, would still have plenty of money left over for a few really great vacations. That’s funny, she just said the same thing about you. Well, if your only criterion is ‘go fast’, and you’d rather drive around in a POS example of the same car that everyone else says is ‘cool’ than an actual collectible car that isn’t just the same ol’ same ol’…………….then yeah. You’re right. But out of my league. Been here, done this, got the t-shirt. Moved on. Yawn! For $53K, it had better come complete with one’s choice of the lovely Hurst ladies. Don’t know where this rig located but there is one primo 1 owner garages in SW Washington state. Guy who owns it bought it out from me, wife and I debated for 2 days too long. These Hurst were just prettied up, logos and shifter, a bit inside and out. Go back to 1970, when not everyone lived in Californaized plastic close in cities. A drive to anywhere over 200 miles was an excursion, and once in town any-and-everyone challenged from stoplight to stoplight, and getting there and back while comfortable included quickly. Also was a time we Americans had found the great freeways and drove all over nation N to S, E to W, and back again. At dealership in Longview WA. We were in the bucks with big promotion. The salesman, wife, I and three kids took it out on freeway, and when he said punch it I did till around 110 mph, it was expected by those who sold. 50K is just under 10x what cost of new, seems high, but all depends on shape of buyers bank account. I knew of 440 offering, 4 brl, but did not know if Hemi or 6 PAK availability in Hurst option. Appears to need new rear springs, unless there is a family of 5, a dog and cat living in huge trunk. By time one hit 130 mph best be looking for next gas station, think these had over 20 gal tanks, and hi-test back then was 30 cents a gal, and was lucky to get 12mpg on freeways at 60mph. Do not care what they bring at auction, at 25K max yes, 50K no D’s way. @Hide Behind – Really excellent comment. Does anyone else seem to think that the backend of the car is sagging down low? Does he mention anything about rust? I concur. It seems that the car has a replacement 440 in the trunk. A worthwhile feature for groceries. you just need make sure you hire someone to stand curbside to drop the bags in as you sail by. If you have to walk to the rear of this car with a bag of groceries I expect all the greens would wilt and the ice cream would melt before you made it halfway past the quarter panel. I am at a disadvantage with this one! I have honestly never heard of these cars! What is the matter with the rear it looks like it’s squatting? I would suggest that you do a Wikipedia review of this vehicle. They were quite remarkable. with it,& knew what it was. 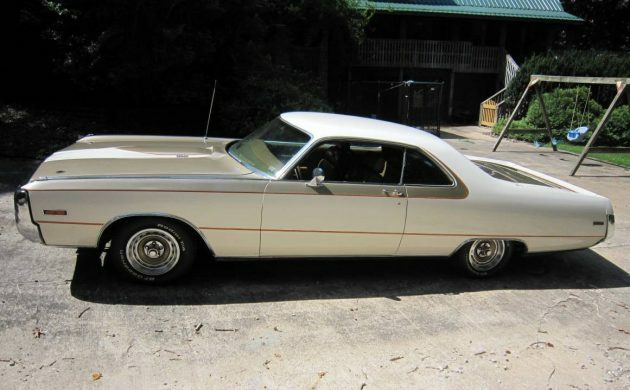 have bought.We had a ’64 Coupe de Ville instead. TriPowerVette, if you buy this car, you can have your choice of any of the original Hurst ladies to go with it. The rear end of the car is sagging, because they are all hiding in the trunk! I do not mean to be mean, but you left me a huge opportunity, and I could not resist. @Edward Skakie – Yeah… Didn’t think anyone’d pick up on that. Thumbs up. Nada Guides says 34 grand tops. He is a tad heavy on price. But maybe someone just inherited some cash ? The convertible is at the Hollywood car museum in Las Vegas. Fun place to visit. But the 300 is NOT for sale. I know of one of these that a guy parked under an oak tree and let slowly dissolve due to rust. Last time i drove by it was still there. 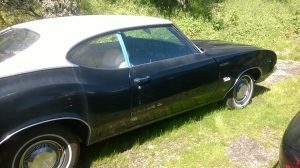 Guy owns a small engine repair shop and claims hes gonna restore it someday, but its past that point. What a shame. This one looks nice but the asking price is way to high! Am I the only one who thought that the swing set in the back-round was a Super Bird wing? I had to take a double look at it, and thank god it wasn’t!